4-Time Wall Street Journal best selling author of heartwarming and heartbreaking memoir, biography, and mystery. Carolyn chronicles tragedy, miracles and madcap medical moments in Appalachian medicine, as well as zany and touching interactions with wildlife in the Great Smoky Mountains National Park. 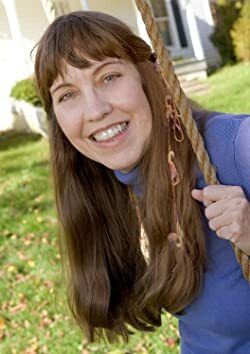 Jourdan's trademark blend of wit, humor, and humanity have earned her high praise from Dolly Parton and Fanny Flagg, as well as from major national newspapers, the New York Public Library, Elle, Family Circle Magazine, and put her work at the top of hundreds of lists of best books of the year and funniest books ever. Carolyn is a former U.S. Senate Counsel to the Committee on Environment and Public Works and the Committee on Governmental Affairs. She has degrees from the University of Tennessee in Biomedical Engineering and Law. She lives on the family farm in Strawberry Plains, Tennessee, with many stray animals. Carolyn's first book: "Heart in the Right Place" was a #7 Wall Street Journal Best Seller and #1 Amazon in Biography, Memoir, Science, Medicine, and Doctor-Patient Relations. The follow-up, "Medicine Men: Extreme Appalachian Doctoring," was a #5 Wall Street Journal best seller and #1 Amazon in Biography, Memoir, Science, Medicine, and Doctor-Patient Relations. "Bear in the Back Seat: Adventures of a Wildlife Ranger in the Great Smoky Mountains National Park" was a #9 Wall Street Journal best seller and #1 Amazon in Science, Biology, Animals, Bears, and Travel Biography. "Out on a Limb: A Smoky Mountain Mystery," reached #1 on Amazon in Mystery, Cozy Mystery, and Medical Fiction. Carolyn's newest books, "The School for Mysteries" and "The School for Psychics" are the first in a new series of light, witty, romantic comedy and suspense novels with Christian paranormal elements. Please enter your email address and click the Follow button to follow Carolyn Jourdan! 307 million people visit U.S. national parks every year. Some will die during their vacation from easily preventable reckless behavior. The survival tips in this graphic pamphlet will help you safely encounter wildlife, challenging terrain, and bad weather. Stay alive to enjoy your visit to our parks.